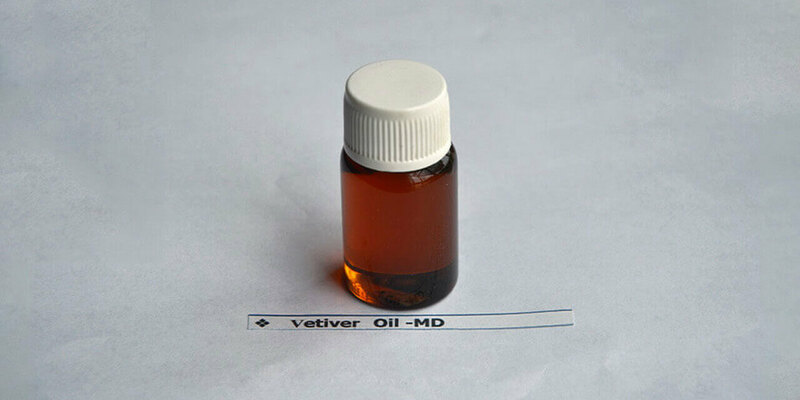 While Vetiver Oil is mainly used in fine fragrances, the Indonesian Vetiver is widely used for making derivatives such as Vetiverol and Vetiveryl Acetate. 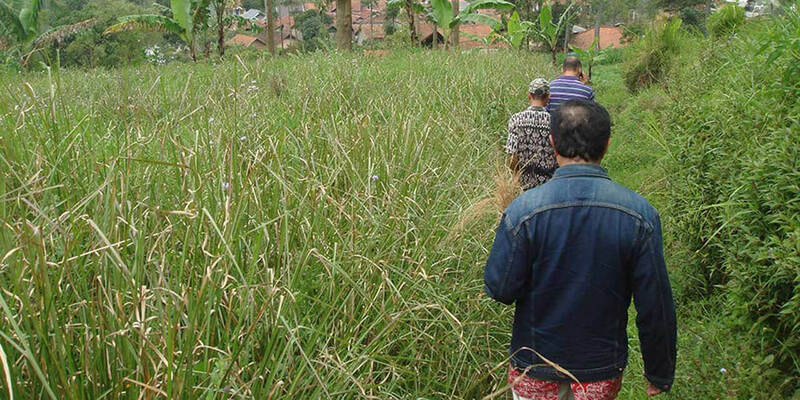 A brief insight into the Vetiver Oil Industry in Indonesia. 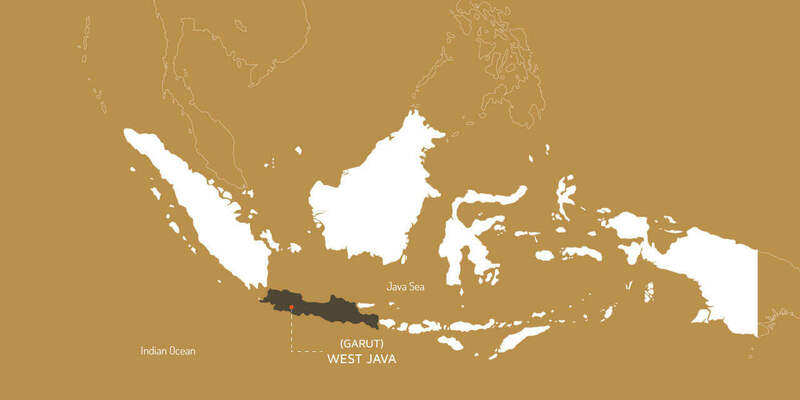 The only area where vetiver is cultivated throughout indonesia is Garut in Java Island. In comparison, the quality of vetiver oil from Haiti and India is preferred over the indonesian kind. Hence the indonesian vetiver oil is significantly cheaper in price. 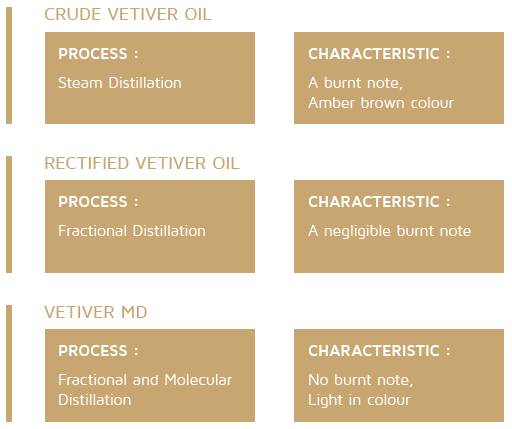 The Indonesian Vetiver Oil is traditionally distilled under very high pressure, resulting in a burnt odour. To combat this, we have installed specific equipment to reduce and remove this odour. How do we get our Vetiver Oil ? We get all our Vetiver Oil from local Indonesian farmers and accumulators who harvest and process the crop through steam distillation to produce a crude form of Vetiver Oil. 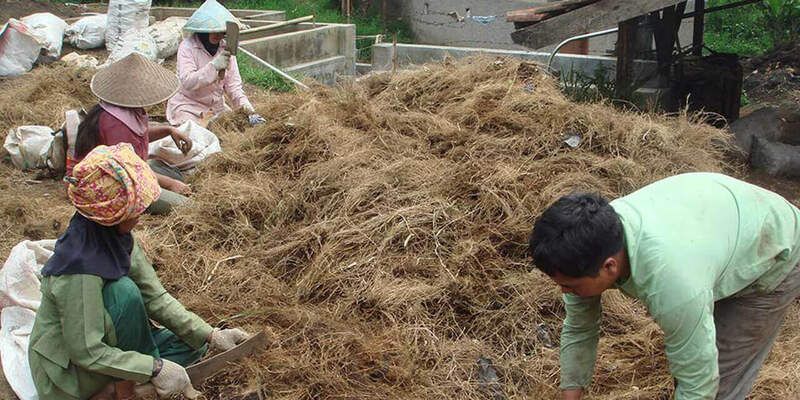 Vetiver is considered to be a rapidly growing variety of grass. It grows vertically tall and in thick clumps. It has a long fibrous root system which is knitted strongly together like a net in the soil. 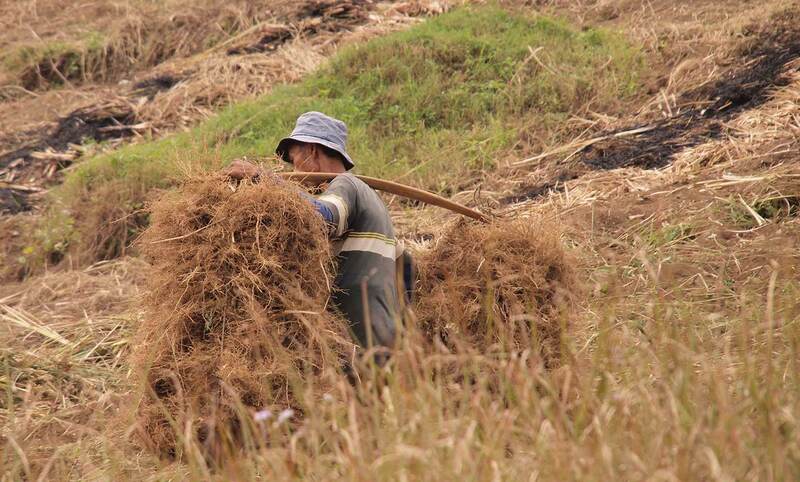 Vetiver is harvested between 15 to 18 months in order to get fully developed roots that yield high quality oil. 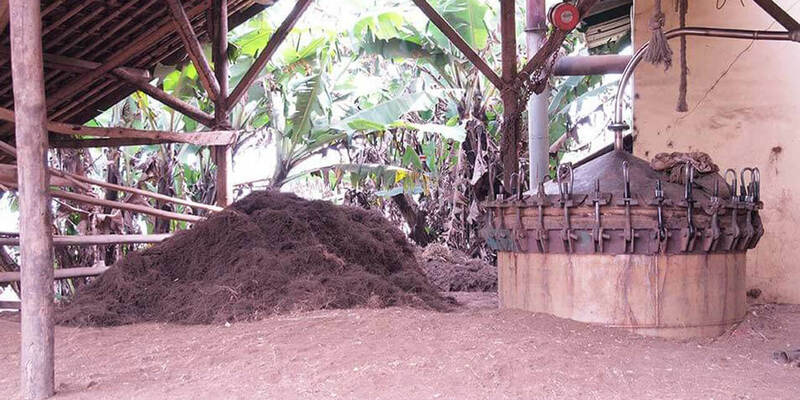 The cleaned roots are spread on drying grounds. The roots should be turned over at regular intervals. Steam distillation is used to isolate, separate and purify the oil content in the roots to provide Vetiver Oil. 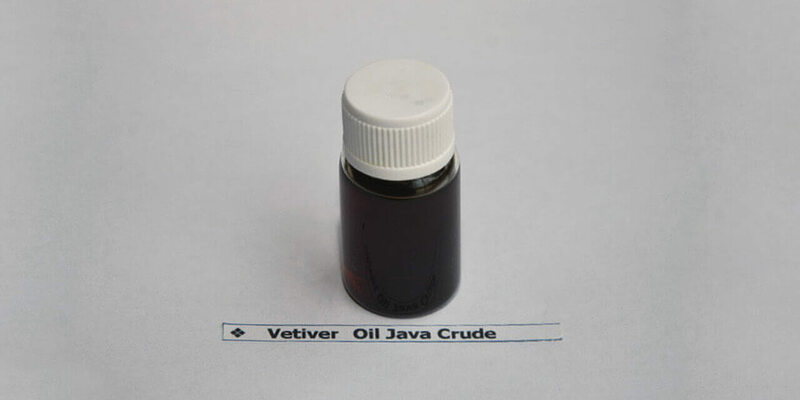 VT-003 Vetiver Oil Java M.D.